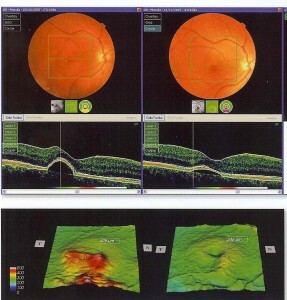 Visual acuity tests are the most common tests used to evaluate eyesight. They measure the eye’s ability to see details at near and far distances. 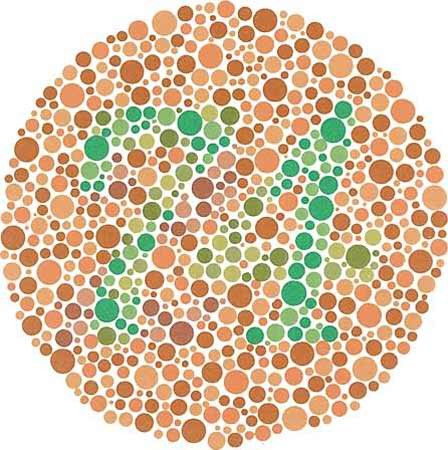 The tests usually involve reading letters or looking at symbols of different sizes on an eye chart. Usually, each eye is tested by itself. 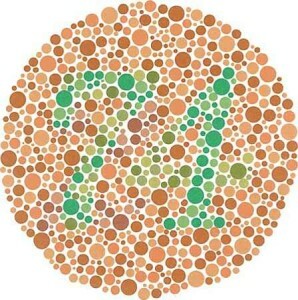 And then both eyes may be tested together, with and without corrective lenses (if you wear them). 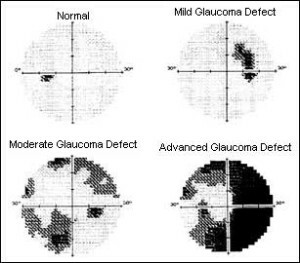 Several types of visual acuity tests may be used. 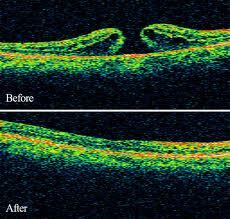 Fluorescein angiography is a medical procedure used in the diagnosis of retinal problems. A dye is introduced into the bloodstream. 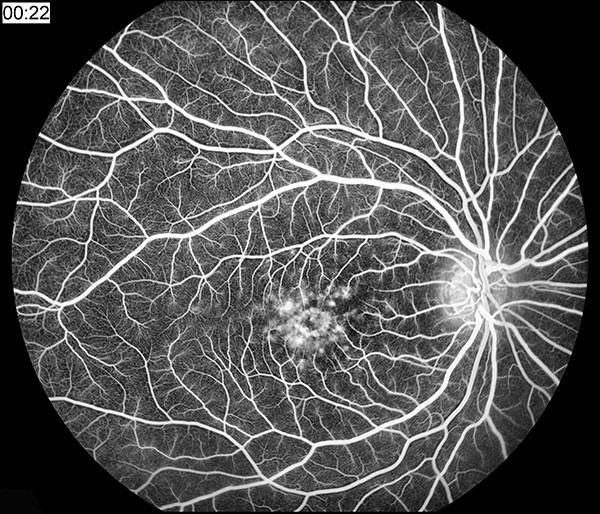 When the dye reaches the blood vessels in the eye a series of flash photographs are taken. 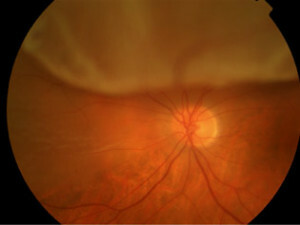 An eye angiogram uses fluorescein dye and a camera to take pictures and evaluate the blood flow through the vessels in the back of the eye (retina). A cycloplegic refraction is a procedure used to determine a person’s refractive error by temporarily paralyzing the muscles that aid in focusing the eye. Cycloplegic eye drops are used to temporarily paralyze or relax the cililary body, or focusing muscle, of the eyes. Cycloplegic refraction is sometimes used when testing the vision of young children. Children sometimes subconsciously accommodate their eyes during an eye exam, making the results invalid. 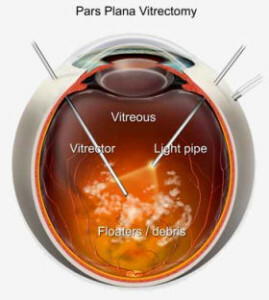 A cycloplegic refraction is also performed as part of a laser vision correction or LASIK consultation to determine the absolute refractive error before proceeding with laser eye surgery. Why child need cycloplegic refraction? 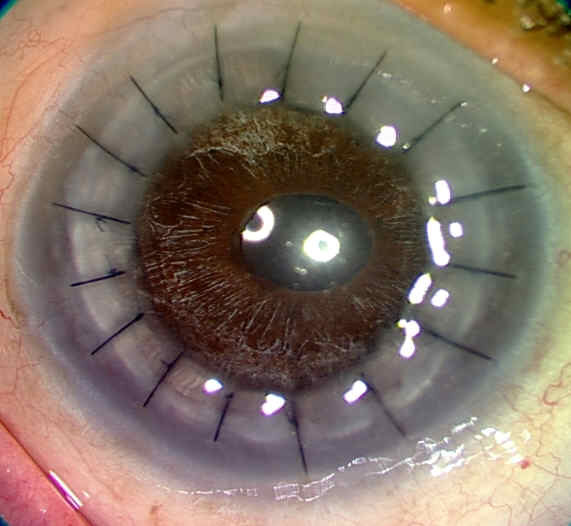 A cornea transplant is a surgical procedure to replace part of your cornea with corneal tissue from a donor. Your cornea is the transparent, dome-shaped surface of your eye that accounts for a large part of your eye’s focusing power. 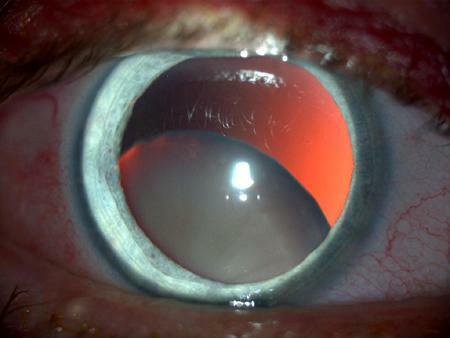 A cornea transplant can restore vision, reduce pain and improve the appearance of a damaged or diseased cornea. A cornea transplant, also called keratoplasty, is typically performed as an outpatient procedure. During pregnancy, the blood vessels in a baby’s eyes begin to develop around 16 weeks gestation. By about the 34th week of pregnancy, the blood vessels in the eye are well developed enough that the retina has a good blood supply. When babies are born early, the blood vessels on the retina are not fully developed. After birth, the vessels may begin to grow so quickly that their growth damages the retina. Retinopathy of prematurity (ROP) is the name for the improper growth of the blood vessels on the retina and the damage caused by that growth. In most preemies who develop ROP, the growth of the retinal blood vessels will slow down on its own, and vision will develop normally. Some premature babies, though, develop severe ROP. What caused retinal holes, retinal breaks or retinal tears? What is the relationship between near sightedness and retinal detachment?